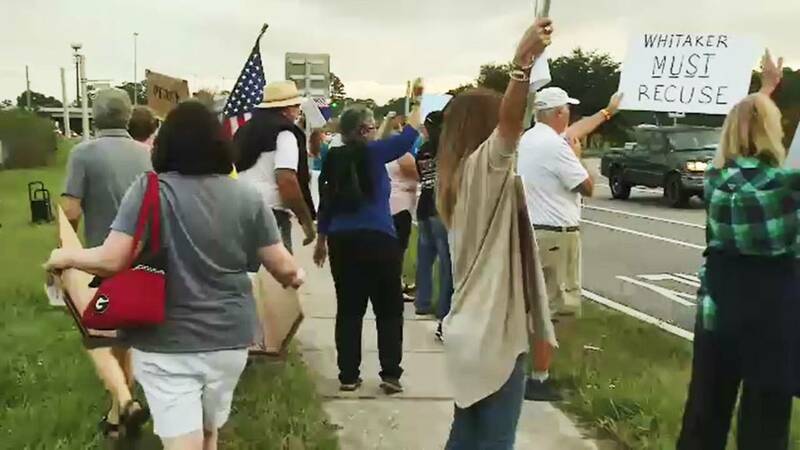 JACKSONVILLE, Fla. - A group of roughly 200 demonstrators in Jacksonville lined the side of San Jose Boulevard on Thursday evening, demanding that special counsel Robert Mueller's ongoing investigation be protected. 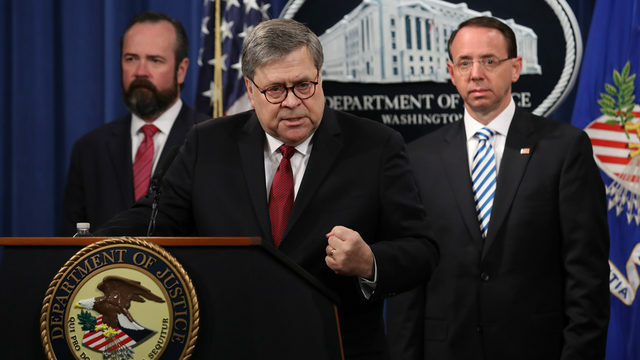 The demonstrations come after President Trump replaced Rod Rosenstein with acting Attorney General Matt Whitaker to oversee the probe. 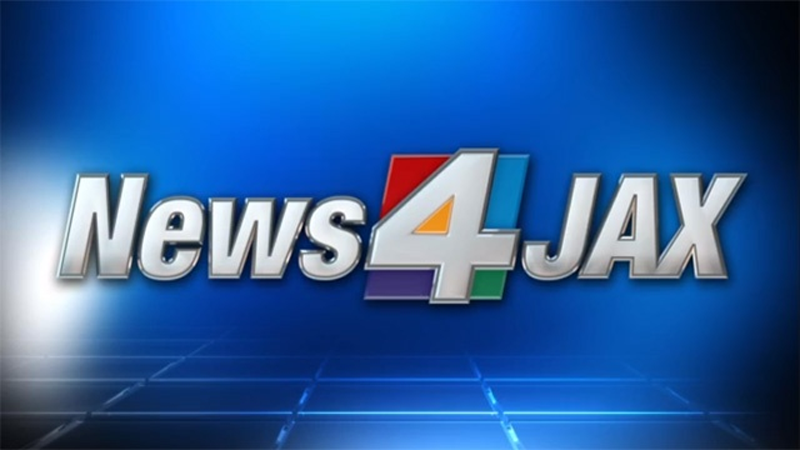 Under the banner "Nobody Is Above The Law," the activists led by MoveOn also called for other protests in cities across the nation on Thursday at 5 p.m. According to the MoveOn.org website, Whitaker has publicly outlined strategies to "stifle" the investigation and should not be allowed to remain in charge. It goes on to say Trump "crossed a red line, violating the independence of the investigation pursuing criminal charges in the Trump-Russia scandal and cover-up." Protesters are demanding Whitaker immediately remove himself from oversight of the investigation. There were no counter protests Thursday evening.